My food obsession, my favorite ingredient, my delicious treat… that’s rice! 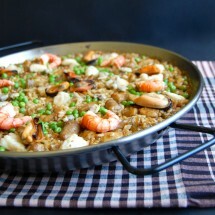 Yes, Paella was invented in Valencia, but here in Catalonia we also master our rices!!! 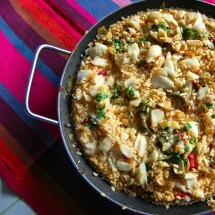 Name an ingredient and we make a Casserole Rice for you with it :D.
In Catalonia, rice is usually cooked as a main dish. 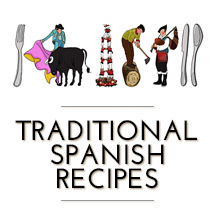 There are two methods: the most popular, exemplified in the Valencian ‘paella’, cooks it in a low tin-plated bowl with a flat base, which is designed for preparing in the open air, making the most of the camp fire and following a natural style, which first serves to brown the food, and then to lightly fry and raise the water to boiling point once the rice has been poured in. Afterwards, as the fire dies down, the decreasing heat finishes the cooking process until leaving it dry and ready with a caramelised layer – the ‘socarrat’ [scorched] – at the bottom. This is why it is the most-used method in hostelry – even though it is difficult to be exact – because it allows it to be finished-off in the oven, without having to be constantly vigilant of its progress. 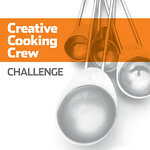 The second method uses the large tinned or earthen casserole: this bowl form allows for a more uniform and soft cooking process, as well as a greater quantity of water. It is the honeyed rice, which is especially indicated for fish. It is taken off the fire while still a little al-dente however, the heat in the bowl finishes the cooking of the rice by evaporating the liquid, leaving it dry and soft and ready to be served. 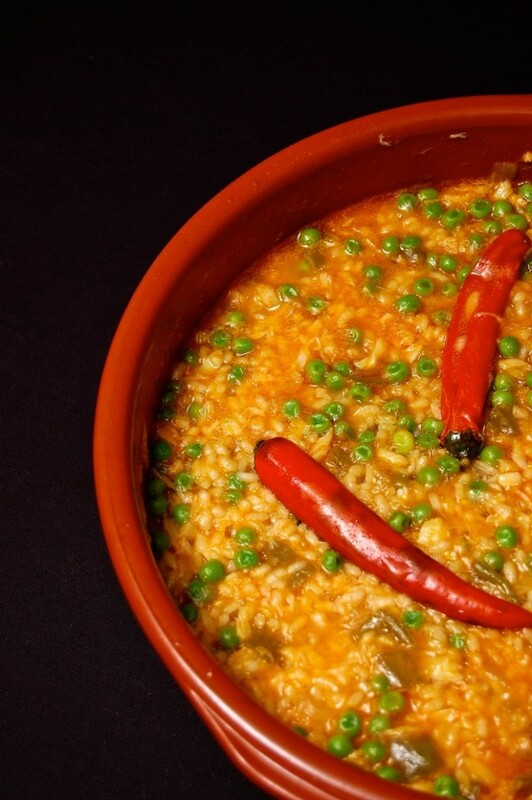 Another type is the ‘caldós’ [broth] rice, or soupy rice, which is prepared with a lot more liquid and which has to be eaten immediately, because it is almost a soup. Source Culturcat. 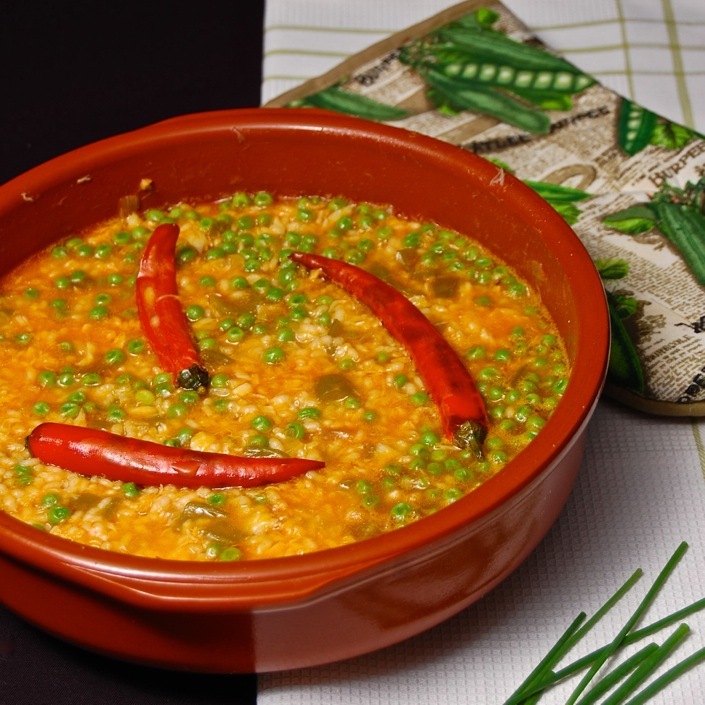 Whenever you come and visit Catalonia, give these other rices a chance, don’t stick to Paella only! This Codfish rice I prepared, has a small variation from the traditional one, I added green pepper and red hot peppers, if you don’t like them, you can always prepare it with artichokes (classic recipe). You don’t get to see the cod in the pictures because when added to the casserole it is flaked in small pieces. Ingredients for 4 servings: 300 grs. 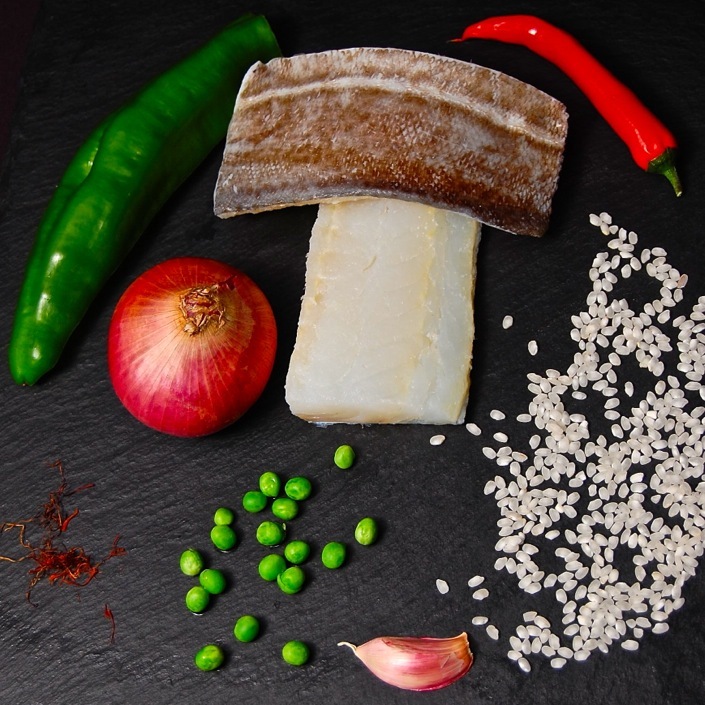 of desalted cod, 2 cups of bomba rice (round grain) and 5 cups of vegetal stock or mineral water, 2 garlic cloves, 1 green pepper, 3 ripe tomatoes grated, 100 grs of green peas, 3-4 saffron threads, 1 medium onion, 3 red spicy peppers, olive oil and salt. If the cod it's been in water to desalt, place under tap water and then squeeze between kitchen paper or clean cloth so that it keeps no water in it. With your fingers take small pinches of the cod until it's all in tiny pieces. Reserve. In an earthenware casserole (make sure it has no lead), pour enough extra virgin olive oil to cover the surface. Wash, dry and cut in small pieces the pepper and when the oil is hot, add to the casserole. Peel and cut the onion and the garlic. Place the saffron inside some foil and toast for seconds on your stove. Add the onion and garlic to the casserole and low the heat while you stir with a wooden spoon. When transparent, add the tomato and let it reduce a bit. Add the red peppers and stir for 2 more minutes. Take the peppers off. Add the cod to the casserole and stir one more minute. Add the saffron and stir some more. Pour the boiling water/stock in it. Stir. Add the rice and after 10 minutes of soft boil add the green peas and let cook for another 7 minutes. Take off the heat and place a lid on top. Let it rest for 5 minutes. 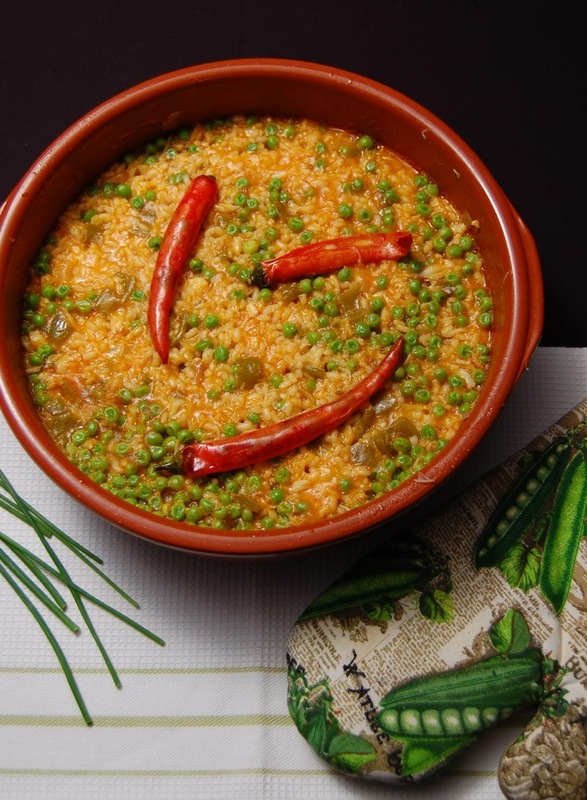 If you want it with a spicy flavor add the red peppers together with the peas. 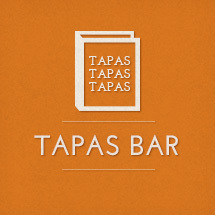 I’m inspired to start cooking in the kitchen again…. and that means rice! We can put the barbecue grill away now. And Chile? Jealous! Yes Chile! Quite a surprising country!